Picture a Day - The Holy Land Revealed: Children of the Yishuv: Hadera 1935 How's It Related to a Plague of Locusts? How's It Related to a Plague of Locusts? 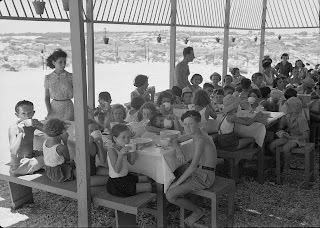 The caption on this Library of Congress photograph reads, "Children's group at WIZO summer beach house for poor children of Khadera." WIZO is the Women's International Zionist Organization, founded in Great Britain in 1920 to help build the Jewish national home and to assist women of Eretz Yisrael through education and training. Hadera, south of Haifa, was built on swamplands purchased in 1890 from an Arab Christian from Lebanon, Salim Khoury, who was a major landowner in Palestine. A year later, Jews originally from Kovno, Riga and Vilna arrived to dry the swamps and settle in the area. Another photo (left) reveals a little more information about the children's home located in the "Heftziba settlement on the coast west of Hadera." 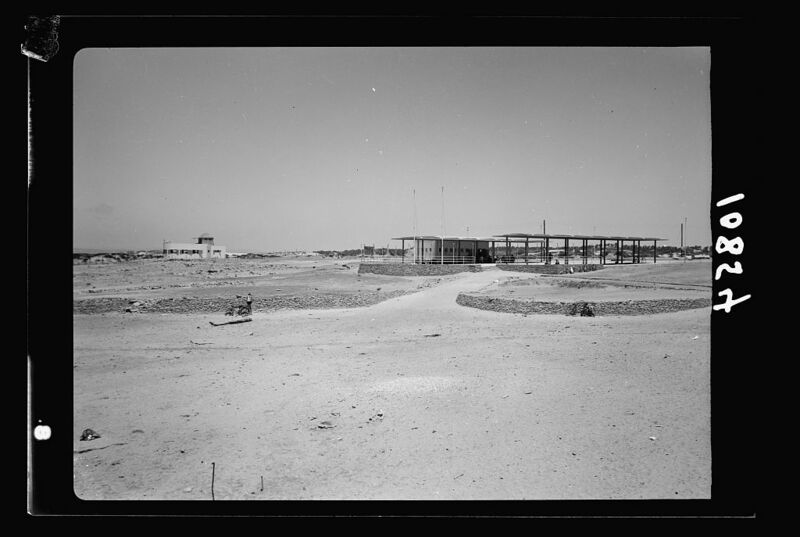 The Heftziba farming settlement began in 1906, but encountered severe hardships -- a plague of locusts in 1915, forced conscription of its workers into the Turkish army during World War I, and financial debts. By 1929, the farm and orchards were largely abandoned. Some of the workers of the farm established a kibbutz near Mount Gilboa in northern Israel in 1922 and named it "Heftziba." The photographers of the American Colony Photographic Department recorded dozens of pictures of the 1915 locust plague, available in the Library of Congress collection. Today, Jews around the world commemorate the last days of the Succot holiday. Today is called Hoshanna Rabba, and one of the special prayers in today's liturgy asks for salvation from various agricultural blights including the plague of locusts. 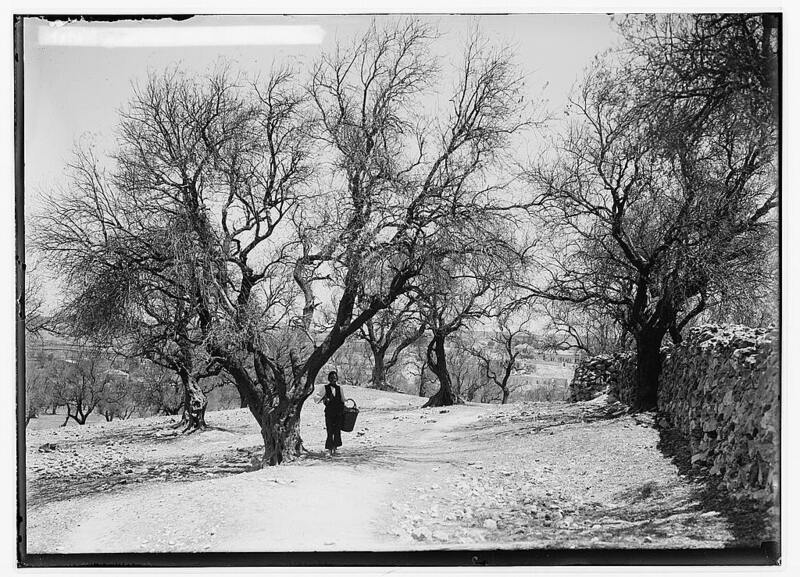 and for 1920s pictures of Heftziba, see here.